Could airport drone disruption happen here? Hundreds of flights have been canceled and tens of thousands of airline passengers have been stranded because of the buzz of unauthorized drones over London’s Gatwick Airport — demonstrating how disruptive a simple aerial strategy can be. Military forces have been called up to hunt down the elusive drone operator, and the crisis has prompted calls to tighten up flight restrictions near Britain’s airport. But on that score, U.S. airports appear to be in a better position to guard against drone disruption. British regulations call for a no-drone zone within 1 kilometer (0.6 miles) of an airport’s perimeter, while the Federal Aviation Administration restricts drone flights in a five-mile radius around airports such as Seattle-Tacoma International Airport. In more sensitive areas, such as the National Capital Region around Ronald Reagan Washington National Airport, restrictions are in force within a much wider radius — ranging from 15 to 30 miles, depending on the type of activity. Sea-Tac spokesman Perry Cooper told GeekWire that the airport’s operations team hasn’t had any reports of drone incidents, and that it works in collaboration with the FAA on drone monitoring. The FAA, meanwhile, says that it works with the Department of Homeland Security, the lead agency in drone security issues. Get the full story on GeekWire. 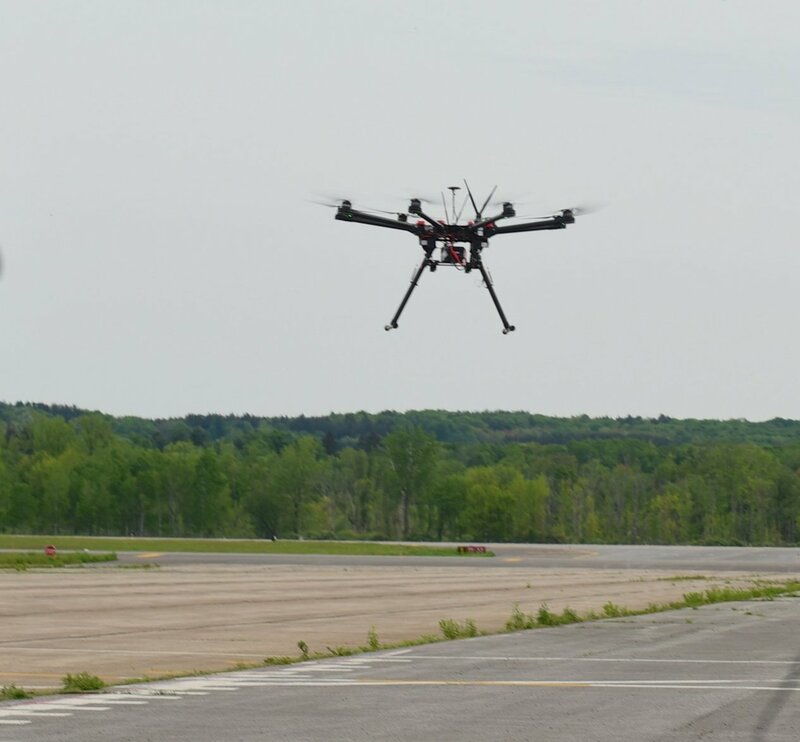 This entry was posted in GeekWire and tagged Aviation, Britain, Drones, FAA, Security, Technology, Transportation. Bookmark the permalink.